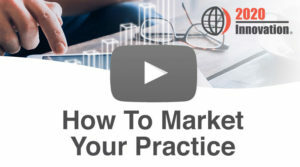 The Practice Management Hub (PM Hub) is an exclusive benefit of 2020 Platinum membership and contains advice on setting a strategy and improving your profits as an accountancy practice. Platinum members receive webinars and guides on a range of topics and tools to make their practices more efficient. These cover strategy and profit target setting, identifying areas to strengthen, KPI and MIS reporting, new client checklists, compliance and services checklists, increasing chargeable time, reducing write-offs, adding value to clients, succession planning and marketing resources. Each section has a selection of easy to use resources that you can download from the PM Hub. Key items to consider when planning a partner retreat. How to address succession issues that many practices face. A guide to assist with understanding people, what motivates and attracts them so that we can build and work with a high performance team. Achieve targets and goals by discussing your plans with your team and getting them on board with the plan. A guide on how to structure a practice for both cloud driven compliance work and the growth of non-compliance services. An overview of the most important KPI’s to consider, along with some essential benchmarking data from accountancy firms. Identify issues and challenges in areas such as management, financials, clients, partner issues, succession, staff issues etc. Essential areas to consider when drafting and agreeing your partnership agreement. A tool to calculate how much you need to contribute to your pension between now and your expected retirement date. A checklist of items to consider when drafting the strategic plan for your firm. Use this template to produce your firms strategic plan. Focus on the right KPI’s and report them to the team. We have suggested 23 KPI’s to get you started! Training and resources available for Platinum Members. A guide to reduce write-offs, including the 5 golden rules to improve the recoverability of a practice. Increase chargeable hours of fee earners by focussing on the key areas outlined in this guide. Improve the performance of your fee earners by adopting these strategies. Standardise your working papers with auto-entry of key fields. Lead schedules and a summary into a trial balance also included. An automated accounts preparation tool to be used when planning the client job. A checklist where you can tick the items required and amend as necessary for each client. Identify and tailor the different steps involved in completing a set of accounts for the client. Work programmes to reflect the clients accounting system, including various online accounting providers. A permanent file index for unincorporated businesses or personal clients. A template of lead schedules in an Excel format. Standardise your system so that all accounts files are in the same order by using the working papers index sheet. A guide showing you how to move existing clients to the cloud and how to attract potential clients to your firm. Use this guide to develop a clear marketing plan to support your firm’s strategy. The easiest way to grow a practice is by referrals! Use these proven techniques for generating referrals. A guide to help you position your firm as experts in business finance. Understand the tactics and methodologies accounting firms are adopting to cross sell additional services to clients. A useful guide which focusses on selling accountancy services that clients want. The most successful accountants are very good at referring clients to their Financial Planner. This guide shows you how. 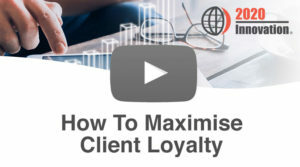 Take advantage of changes in legislation to encourage clients and potential clients to use your expertise, rather than struggle through themselves. A useful guide that includes methodologies and ways of addressing value pricing. A pre-year end tax planning system is essential to explore all tax options with clients. A set of notes to accompany the series of 8 training videos above. 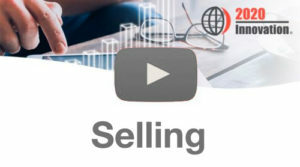 Informs visitors of information about your firm, why you are different and showcases the variety of services you offer. Use the marketing planner to detail your action plan for clients over the next 12 months. Use the marketing planner to detail your action plan for prospects over the next 12 months. A checklist of items that your marketing coordinator should be responsible for. This guide focusses on the overriding approach to client satisfaction and involves all members of the firm. Educate clients on the 22 steps involved when completing and reviewing a set of accounts. A client satisfaction survey from the top 50 clients of accounting firms over 25 years. If you are quoting for a new client, the fee proposal template will help you present your proposal in a professional way. The fee proposal calculation will calculate the fee to include in the proposal document. A checklist to facilitate a discussion around your client’s expectations, values and concerns. 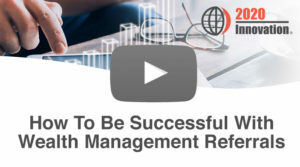 Educate clients on the 28 steps involved when completing their tax return. A fully interactive checklist to review all areas when taking on a new client, ensuring nothing is missed. A form to standardise procedures when taking on a new member of staff and ensuring they are made to feel welcome. Calculate the details of any loan including the instalments, split between interest and capital. A review sheet for clients that systemises the process and provides a framework for end of year workings. A template setting out the necessary bookkeeping steps and responsibilities, also includes a fee agreement. A tool to illustrate the future tax liabilities arising for self employed or those paying tax in January and July instalments. Allows you to quickly and easily produce an agenda for client meetings. A series of template letters or emails that you can send to clients to improve your debtor days. A template to record holiday times for your team. A template letter to agree the services and a fixed payment plan for clients. Improve your cash flow by moving clients to monthly billing. Two template letters are included. A template document covering the 9 key points to consider at your monthly partners meeting. Use this spreadsheet to agree chargeable hour targets with your fee earners. A list of incidental services that clients request such as mortgage letters, simple tax advice etc. Ensure you charge for them! Template letters to send to suitable candidates to attract the maximum response. Use this agreement to send to a firm that you may wish to meet before exchanging confidential information. Use the letter to confirm the mutual intentions and understandings of both parties. The template outlines the major points of any deal between both parties, subject to due diligence. A checklist of the summary points that should be considered before any transaction is finalised. A comprehensive list that should be considered before any transaction is finalised. An agreement which covers the common payment terms of a transaction. 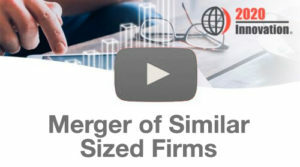 An example letter that can be sent to clients and prospects announcing the merger. An example PR statement that can be used to announce the deal. Use this document to review the factors that make a firm attractive to potential buyers. Use this document to summarise details of the firm, partners, team, fees and other useful information for potential buyers. This document includes the headings that should be considered when preparing a full prospectus for interested parties. An overview of how 2020 can help undertake a successful transaction. 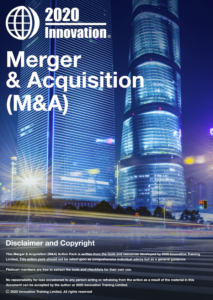 An overview of the steps involved in 2020’s M&A process. An example of 2020’s standard engagement terms. A template which summarises the details of their firm, partners, team, fees and other useful information. The document includes the headings that should be considered when preparing a full prospectus for interested parties. A template document outlining all the details and headings required when completing a full prospectus. An agreement 2020 use when exchanging confidential information with interested parties. A letter 2020 send to interested parties before the full sales memorandum is shared with interested parties.